Today’s workforce contains members of four generations: Traditionalists, Baby Boomers, Gen Xers, and Millennials. While working together, there are 12 topics or themes that are “sticking points” or sources of stress and conflict. 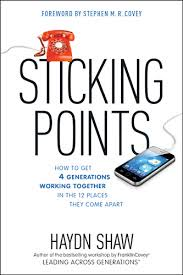 “Sticking Points” provides an example of the points being illustrated, reveals each generation’s unique view point and finally gives suggestions for compromise and resolution. Sticking Points was an eye opening read not only in the work place but also in everyday life. An excellent understanding is gained of each generation’s view point. Much to my own amusement, I found myself nodding in agreement when reading about my own generation. On the flip side, I had several “ah-ha” moments while considering the other three generations. While the book is a little light on providing solutions, the book does provide compromise, understanding, and maybe even harmony to perhaps become possible. Hauck, Rachel. Once Upon a Prince. Zondervan: 2013. From the absolutely adorable book cover to the modern day fairytale (albeit a bit relevant while waiting for the Royal baby to appear), I found myself positively enjoying this novel! Though a new author for me, I am sure I will no longer be a stranger to her books. 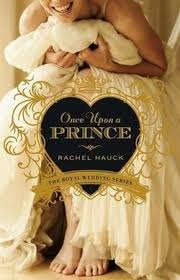 Inspired by Prince William and Princess Catherine of Cambridge, the author, Rachel Hauck, does a gracious job of bringing the Prince of Brighton and everyday, simple, issue-ridden Susanna together through funny moments and endearing junctures all within Christian perspectives. I appreciated the contemporary love-story with morals and values intact. As the pages continued to turn faster, I found myself hoping for a sequel (which there will be)! Definitely a book worth reading and sharing! Leigh, Tamara. 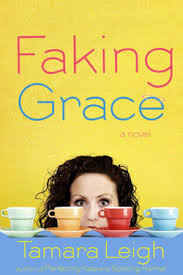 Faking Grace. Colorado Springs, CO: Multnomah. 2008. Tamara Leigh presents an LOL, sarcastic yet witty novel. Just when you think Maizy…um…Grace…has done everything imaginable, she pulls out another unbelievably hilarious move. Of course, considering that she is taking advice from the ‘Dumb Blonde’s Guide to Christianity’ (or affectionately known as DBGC), things are bound to get crazy! Top it off with a little dog, a grandma with a brand new boyfriend, a co-worker with a British accent and a new BFF causing a hair disaster…let’s just say prepare for a side aching laugh that leaves you gasping for breath. The Hunger Games has become a very popular mainstream book series. 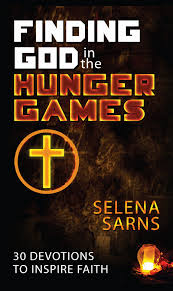 Selena Sarns has created a book with short devotionals designed for readers of the Hunger Games. The devotionals connect sections of the books to Christian concepts and then provide a thought to ponder. If using the devotional for adult readers, the broad parallelisms provided excellent starting points for deep thought and arriving at personal conclusions. For those using the devotion to guide young adults or even youth readers, further discussion is needed because of possible lack of understanding of the deeper issues. This devotional serves as an excellent conversation starter in attempting to explain the ramification of these issues. Ullrick, Debra. Forewarned. Spirit Light Publishing. 2012. The novel’s plot keeps the pages turning due to the author alluding to the coming danger. The author’s excellent technique of balancing intense and peaceful moments makes for a thrilling read. The novel explores the potential dangers of the internet which provides an excellent opportunity to use the book as a learning tool. The book has the ability to serve as a great read for both parent and student as the book forewarns readers without alarming them. Witmeyer, Karen. Stealing the Preacher. Bloomington, MN: Bethany House Publishers. 2013. Really? 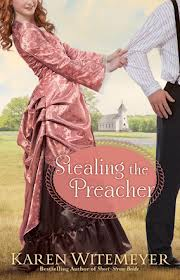 Stealing the preacher? Oh how fun!!! Though a bit predictable, Karen Witmeyer did an excellent job of keeping my enthusiasm for the story through lively interaction, the effervescence of the characters, amusing circumstances (literally stealing the preacher), saving an abandoned church and finding salvation for her father…all while the participants pass through life relationships and situations. Absolutely a must read for a downright rollicking novel with a few serious life issues included! Hodgson, Mona. Prairie Song. Colorado Springs,CO: Waterbrook Press. 2013. 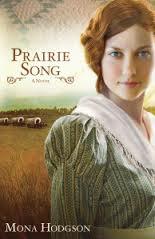 For readers who enjoy stories of wagon trains, campfires, cowboys and occasional danger, this novel will not disappoint. Mona Hodgson masters the setting and era of the novel in such a way that the reader is sure to gobble up this book. Prepare to be transported to the Post-Civil War Era in the far west. Readers will be delighted with their traveling companions – especially the delightful Anna Goben and the mysterious Caleb Reger.